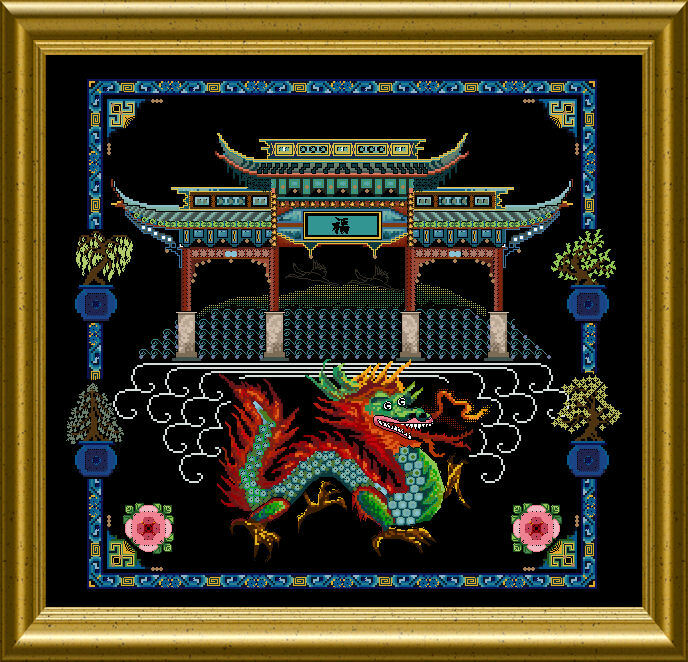 This embroidery complements any Oriental setting – it features a bold and colorful, sparkling Dragon surrounded by an oriental gate with bright blue border and Chinese ornaments. Even some Bonsai trees are there in blue glazed containers. 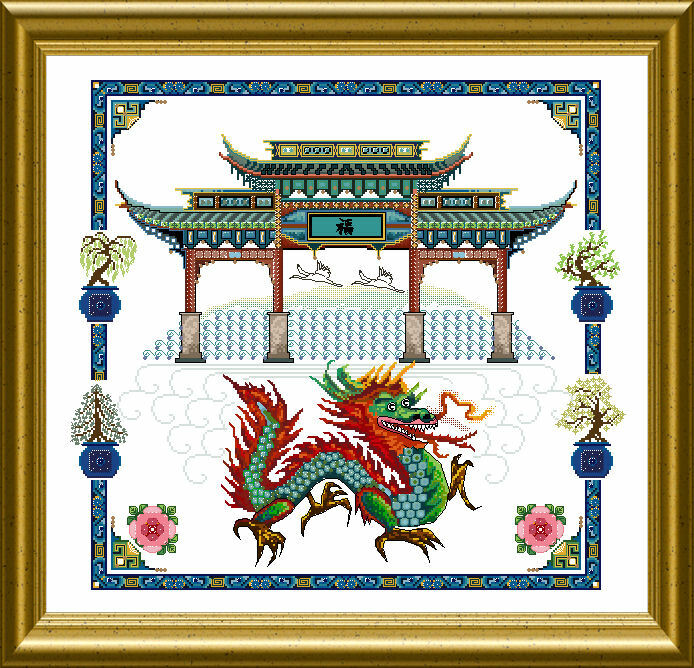 I provide an alphabet in Chinese Scripture style so you can easily personalize this piece to your requirements.You will use a wonderful assortment of colorful threads, silks, cottons and other materials, metallics, beads and crystals. 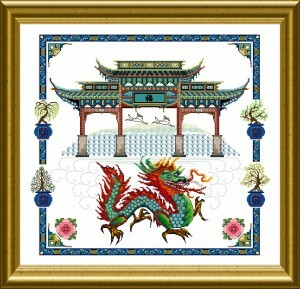 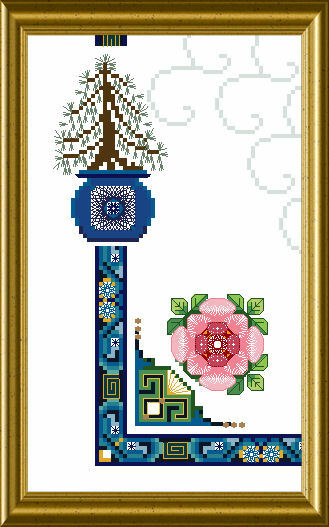 Many Special Stitches will add to the dimensional effect of this embroidery. 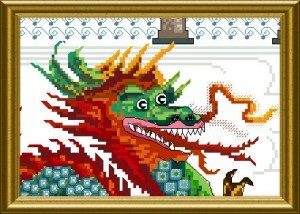 The mere design size is 278 x 255 stitches.